Guests, travelers, all of us are on social media every day. LinkedIn is for business, but Facebook and Twitter are where people go to relax. Now Maestro PMS makes it possible to instantly book hotel reservations directly from your favorite social sites. Social media sites are where guests post photos and comment on recent travel experiences and resorts. This usually includes a photo and link to their favorite property's social media page. With Maestro's new Social Media Booking Widget, people who visit a property on social media can also directly book a room without leaving the page. "This is easy for guests and great for properties," said Warren Dehan, Maestro PMS President. "If someone posts a picture and comment about a property where they stayed, their friends often click on the property link to check it out. If they like what they see, they can instantly book from the property's Facebook page." The Forbes 5-Star Stein Eriksen Lodge in Park City, Utah, uses Maestro PMS for property management. "We just implemented Maestro's social media widget on our Facebook page. It has a great design and gives guest an easy way to book directly from Facebook. We like its attractive 'Book Now' opportunity and how it presents our property," said John Perry, communications manager for Stein Eriksen Lodge. "Millennial travelers are what's happening in hospitality, and they are all about social media," Dehan said. "When friends post about their favorite hotel stay, their friends see it and can post from Facebook instantly without leaving the page. This engages travelers where they are most comfortable. Our users think it works great." The widget can link to a Twitter feed that pushes people to a Facebook fan page or directly to ResWave. Booking takes place directly in a Maestro PMS-users ResWave booking engine, so rates and availability are always current. 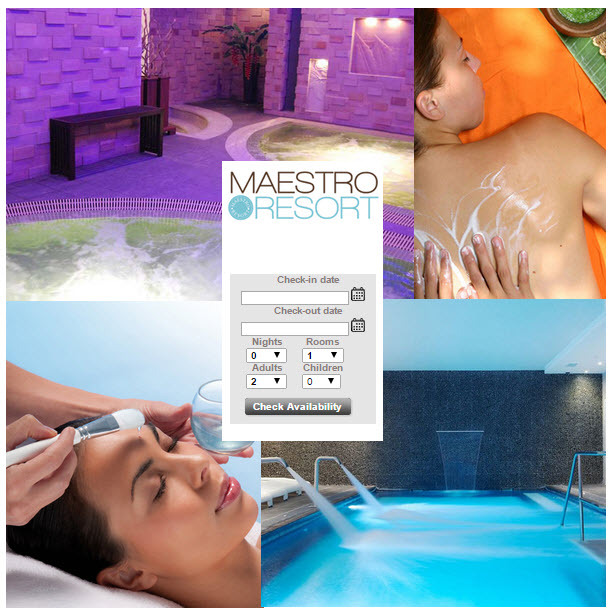 Maestro's Social Media Booking Widget is part of their guest engagement offerings, which also includes eSignature capture, curbside iPad Xpress Check-In/Out, Mobile Online Checkin, Mobile Housekeeping, and Mobile Folio Display. To help their clients implement these features, Maestro's Management Services Group works with properties to develop landing pages and website design to make it easy for independent operators to have their guests book directly.